The Vermont podcast and radio show about writing. For writers and curious readers, featuring interviews with authors, poets, agents, editors, and illustrators. One of Writer’s Digest Magazine’s 101 Best Website for Writers in 2016 and 2017. 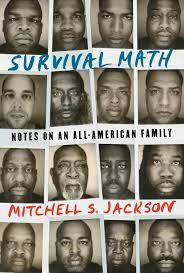 Mitchell S. Jackson, Award-Winning Author of Survival Math: Notes on an All-American Family (Scribner). This week’s Write the Book Prompt was generously suggested by my guest, Mitchell S. Jackson. Write your own answer to the question, what is the toughest thing you have survived? Write it in the second person; Mitchell says this might make you think about the experience in a different way. Good luck with your work in the coming week, and tune in next week for another prompt or suggestion. 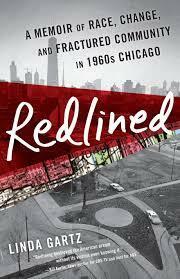 Author Linda Gartz, whose new book is Redlined: A Memoir of Race, Change, and Fractured Community in 1960s Chicago (She Writes Press). A number of resources Linda mentioned during our interview can be found here, on her website. This week I have two Write the Book Prompts to offer, both generously suggested by my guest, Linda Gartz. One is for memoir, the other for fiction. Here’s Linda’s memoir prompt: Write about an experience that has stayed in your memory, one that has meaning beyond an anecdote. Pick one: When did you feel humble, proud, ashamed, embarrassed, loved, or rejected. What made you feel that way, and what impact did that experience have on your future life, especially the way you dealt with future similar incidents or how it shaped your thinking about and behavior in life? Here’s a prompt for Fiction writers: Imagine a character who has one of these traits… the character is: weak, kind, loving, arrogant, clueless to the impact his/her behavior has on others, or sneaky. Good luck with your work in the coming week, and please listen next week for another prompt or suggestion. Award-Winning Author J.M. 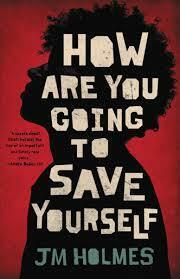 Holmes, whose debut story collection is How Are You Going to Save Yourself (Little Brown). This week I'll offer two Write the Book Prompts, both of which were generously offered by J.M. Holmes. They are based on exercises by the author Bonni Goldberg, in her book, Room to Write, which Jeff (Holmes) recommends. First, an exercise for writing place: choose three different songs from different musical genres and play each, taking 5-7 mins to write a scene where this music is taking place in the background. Second, for fleshing out character: write about what the person's room looks like; what does s(he) have in the closet? Interview from the archives with author Tracy Chevalier, about her 2013 novel, The Last Runaway (Penguin). In The Last Runaway, Tracy Chevalier designed a hat after a cereal bowl she had loved as a child. For your new Write the Book Prompt, look around your house, find an object and create another (fictional) object based on what you've found. Maybe you'll base a chair on a painting. Or a dress on a curtain. (Ear tug to Carol Burnette!) Write about it, or include it in a story, poem, or scene. Paula Martinac, author most recently of The Ada Decades (Bywater Books). This week’s Write the Book Prompt was generously suggested by our guest, Paula Martinac. Observation + imagination = fiction. Paula’s novel The Ada Decades got its creative start when, on a walk in her neighborhood, she observed an elderly woman scurrying nervously into her bungalow. Raymond Carver said he got the idea for a story when he was on an airplane and watched the passenger next to him pocketing his wedding ring just as they were landing. Think about the action of a stranger that caught your attention; you observed it, but didn’t understand what it meant and will never know for sure. Let your imagination roam and “explain” the incident in a fictional narrative. 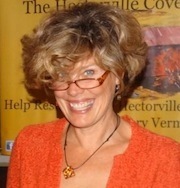 Vermont author and publishing consultant Kim MacQueen, whose novel People Who Hate America came out in the fall of 2014. Today's Write the Book Prompt is to write about a familiar setting, but place it in a different time period. If you write about that place in the past, do some research. Try to find pictures or interviews that shed light on what the area was like. Also, use your imagination. The fact that you know the place means that you can bring something to it from experience that might add warmth to the snapshot, the wiki entry. Perhaps in a photograph, you learn that a simple boathouse existed on the shore of your favorite bay. You already know what the water sounds like there, how the breezes feel and what direction they tend to take. Describe the old boathouse using your photo, describe the place using experience and emotional connection. Of coure, if you launch your setting into the future, you can take a lot more license. But still, try to stay honest to what you feel might change and what might stay the same. Good luck with this exercise and please listen next week for another. Archive interview with Vermont writer Laban Carrick Hill, author of over thirty books, including the historical picture book, Dave the Potter, and co-director of the Writers Project of Ghana, a nonprofit based in the Ghana and the US. In 2014, Laban Carrick Hill published the award winning When the Beat Was Born: DJ Kool Herc and the Creation of Hip Hop. Today's Write the Book Prompt is to write about a person with some regimen that is challenged: a vegetarian who can only find a hamburger in the small town he is visiting; a Jewish mourner who is unable to find a synagogue in which to pray (or a minyan for a prayer service); a reserved mother who can't find a private place to nurse her hungry baby. Good luck with this exercise, and listen next week for another. Music credits: 1) “Dreaming 1″ - John Fink; 2) “Filter” - Dorset Greens (a Vermont band featuring several former South Burlington High School students. Copyright © 2010 Shelagh Shapiro. All rights reserved.